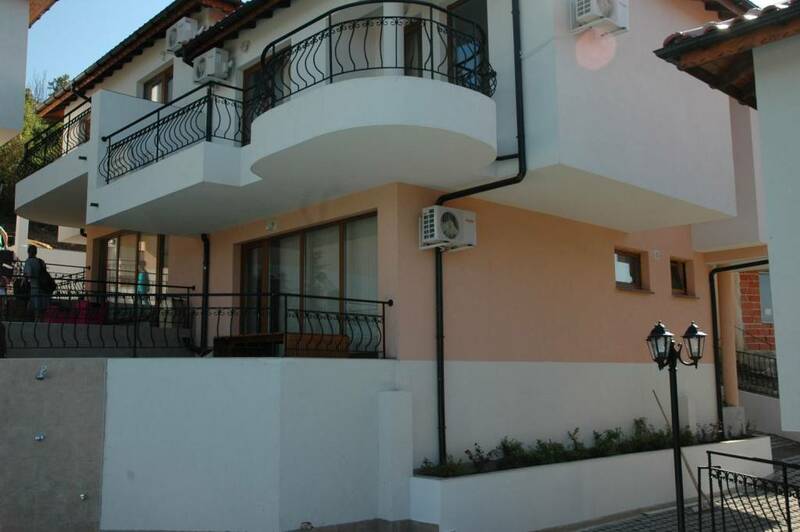 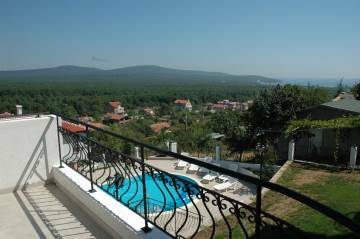 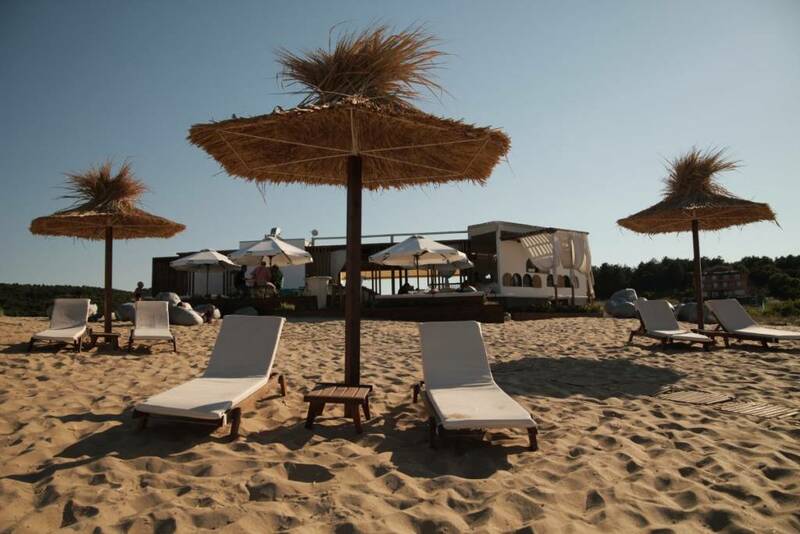 Primorsko is a small coastal town located 52 km south of Burgas. 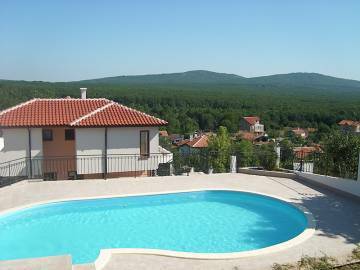 The town is famous for its beautiful scenery, surrounded by forests. 10 km. south from Primorsko lies a nature reserve of approx. 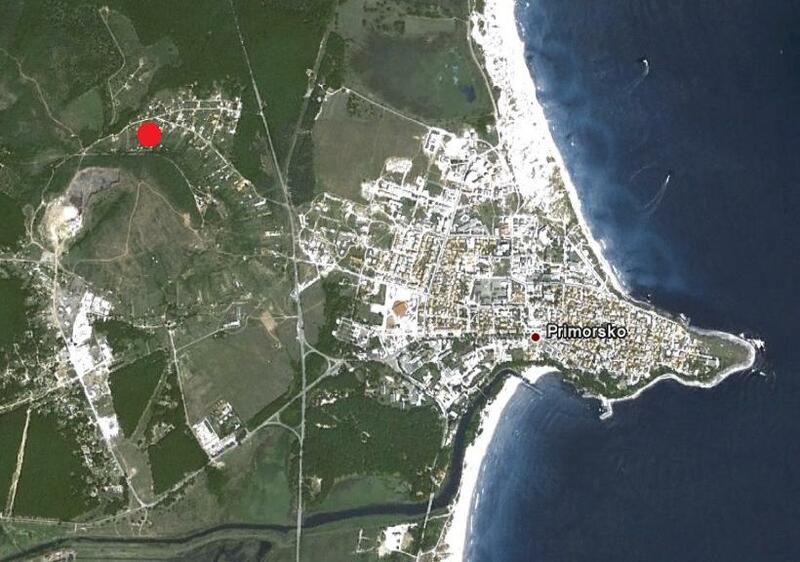 50 ha, which is totally preserved. 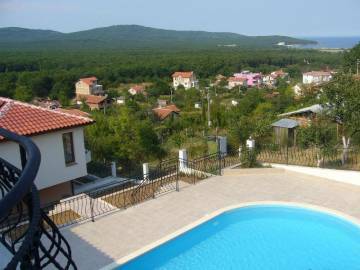 Over the past few years the city has grown fast, and is currently among the most popular areas along the Black Sea coast, attracting both foreign and Bulgarian tourists. 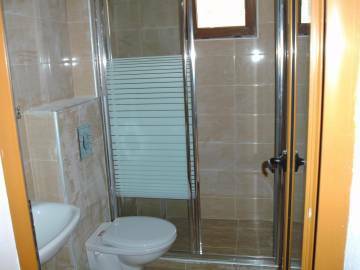 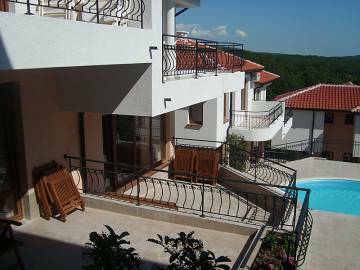 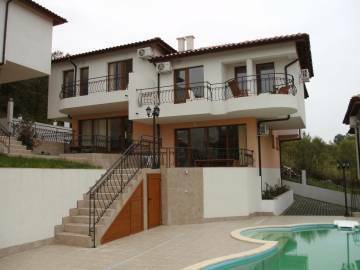 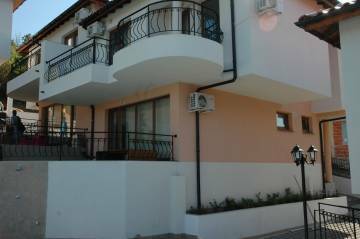 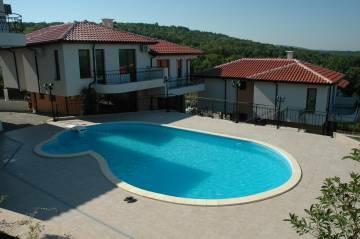 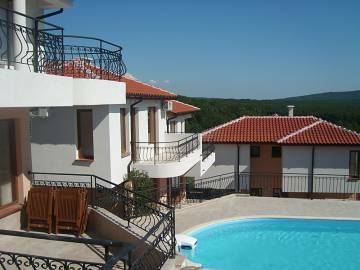 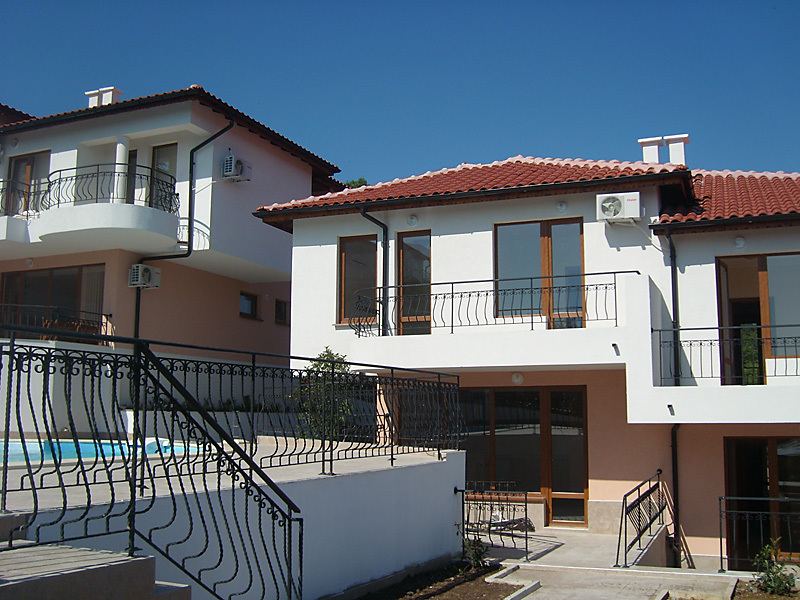 The villa complex consists of eight villas, which are grouped 2 and 2, surrounded by a lovely garden with an oval swimming pool. The resort is built on a slope, as shown in the images. 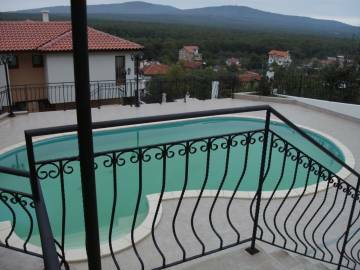 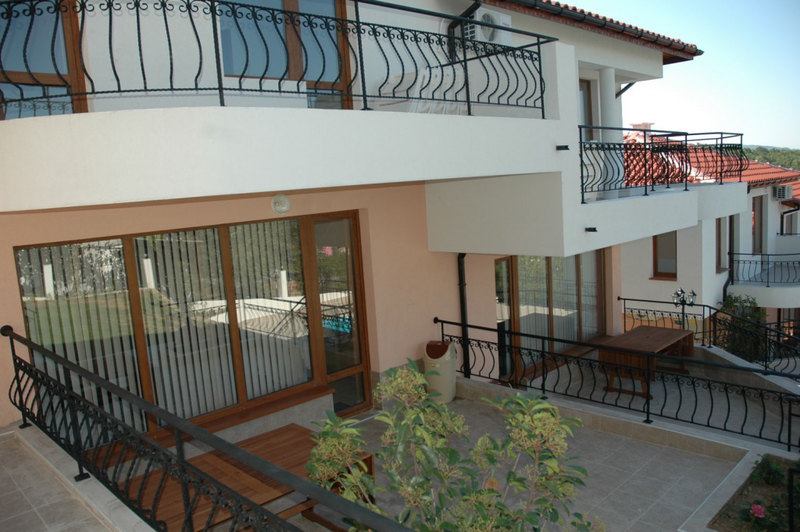 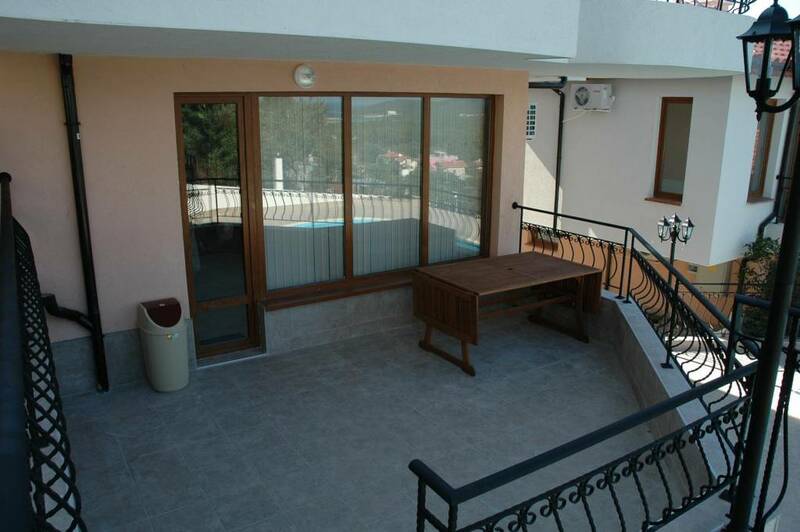 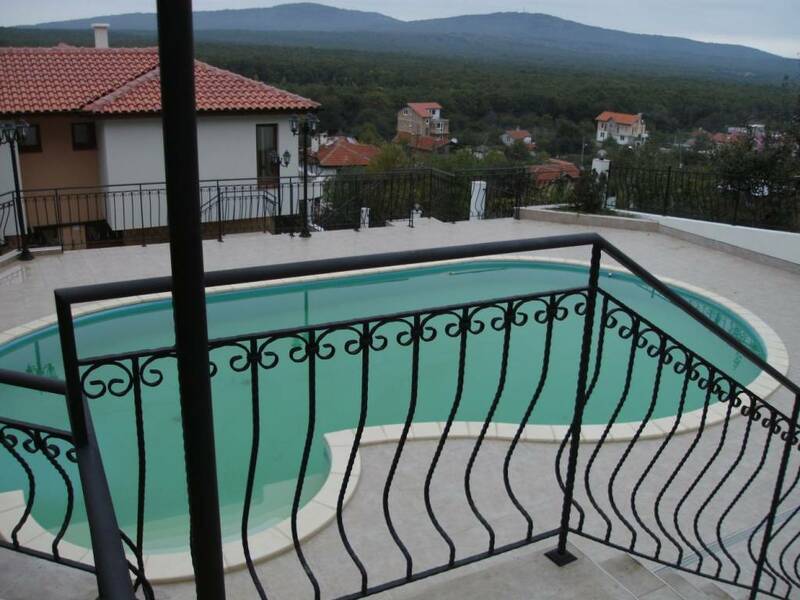 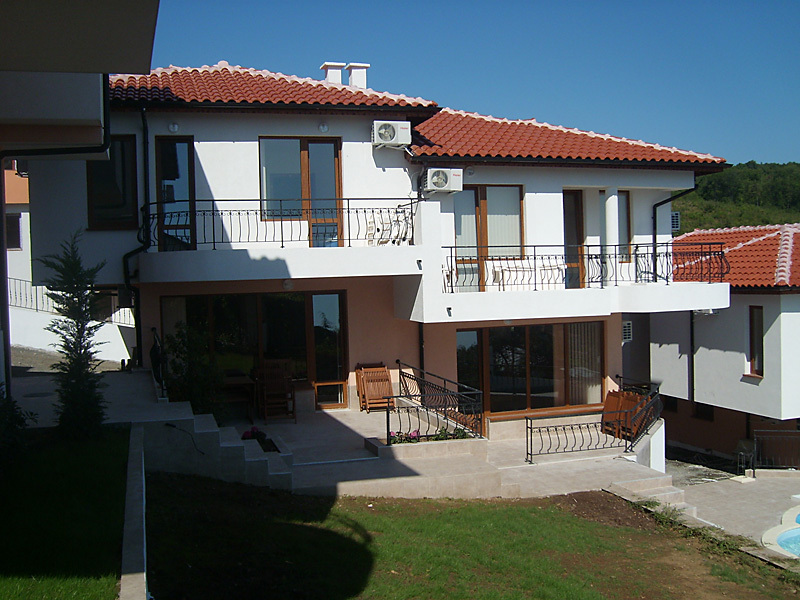 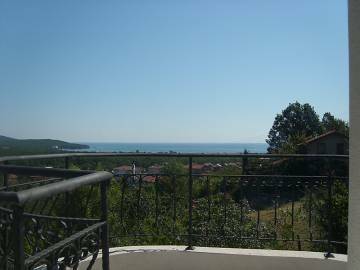 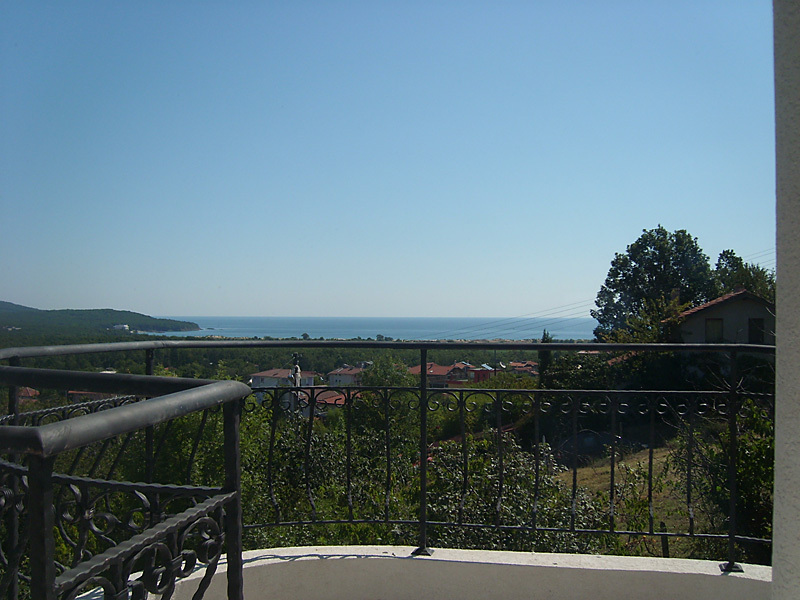 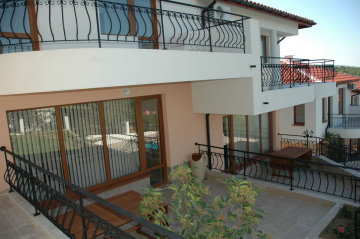 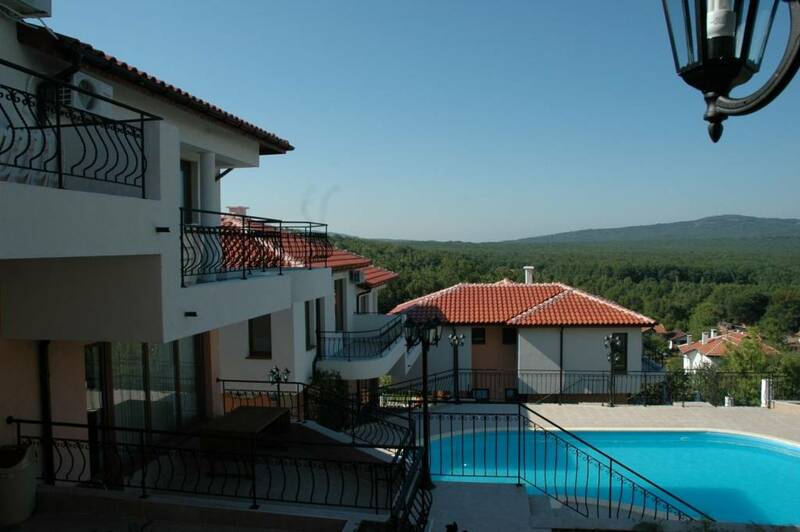 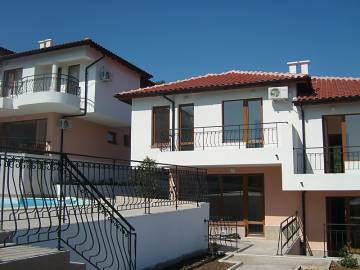 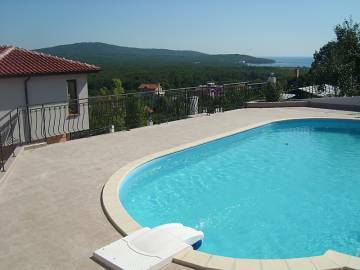 All houses have an amazing view to the Black Sea and at the large forest area, which they border. 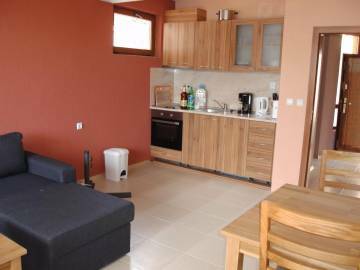 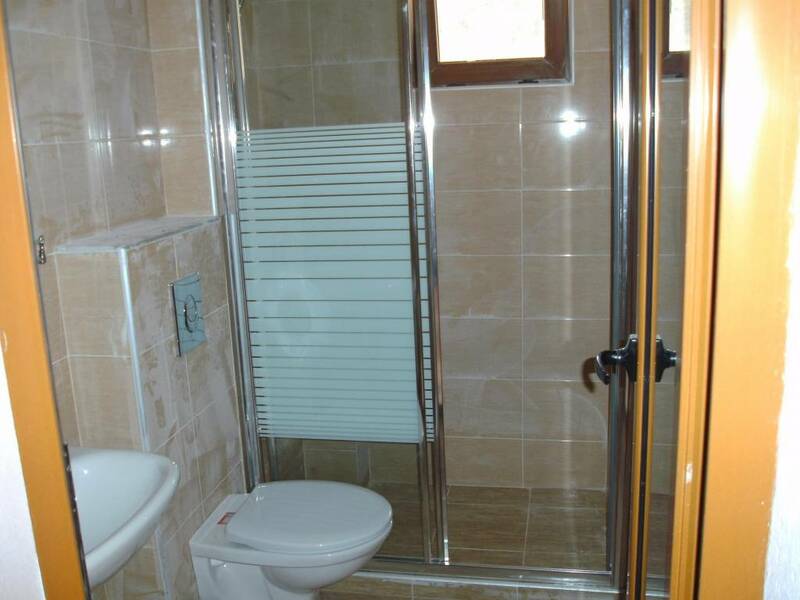 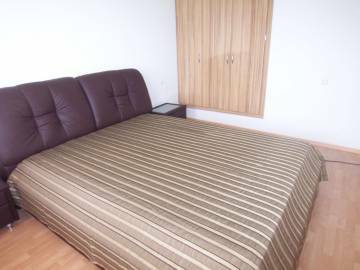 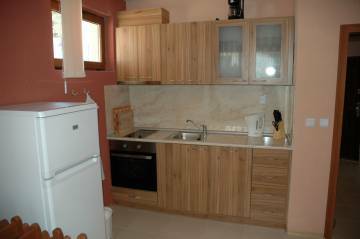 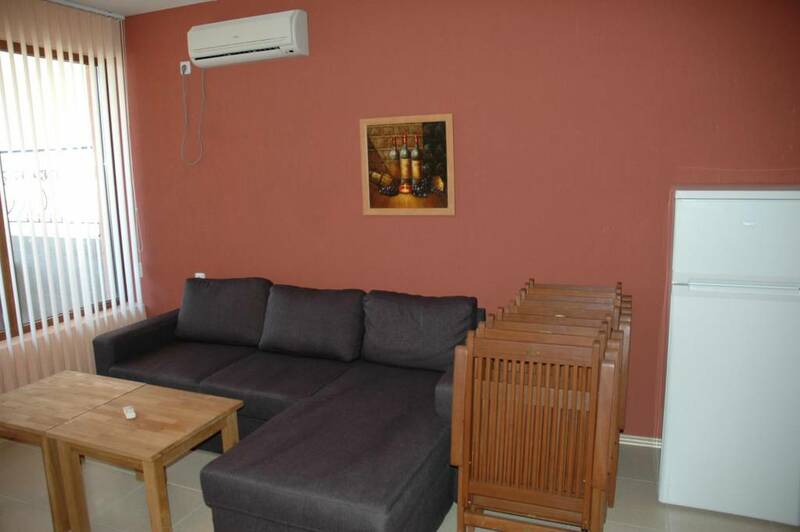 1 living room - furnished with a sofa bed and a dining table for eight persons. 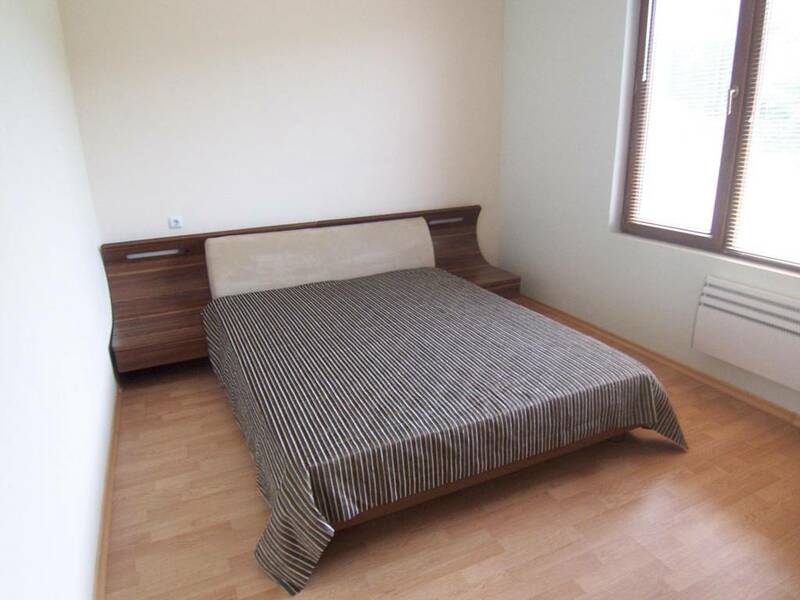 Mandatory weekly cleaning: 50 EUR.